What a busy week, I’ve had a day off this week and spent the whole day preparing my Etsy plans and policies. I still feel like I’ve got a lot to do but have enjoyed all of the preparations. Now I’m enjoying myself completing some works in progress ready for the grand opening which I am planning for July! Here is just a little sneaky peek… Unfortunately my camera is playing up so I can only use my smartphone camera, which is clearly not up to the job… The first pairing is the most lovely acrylic – I’m really not a fan of acrylic (except as a mix occasionally with wool) but this yarn is so amazing. The picture definitely does not do it justice. The colour scheme is King Cole Magestic and it is rather aptly named. 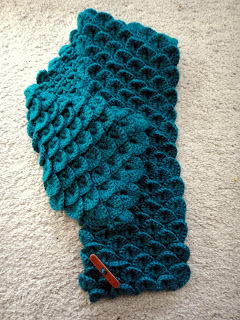 This scarf is made in pebble stitch which gives a soft, nobbly texture and the colour scheme is what I would term Electric Teal (eel!?) 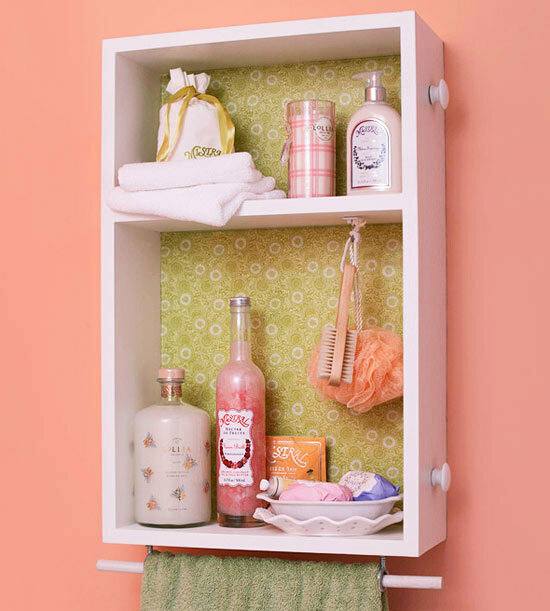 with tinges of blue and turquoise and shots of bright fuchsia and a muted, but bright lime green. It reminds me of a stormy sea with a bold sunset. 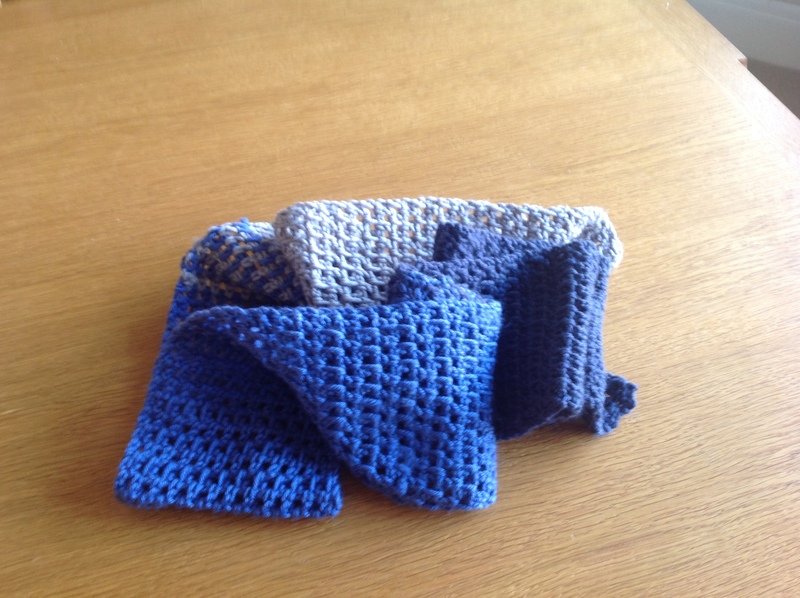 The next project is a range of girls’ headbands in Rowan’s wonderful Wool Cotton 4ply. 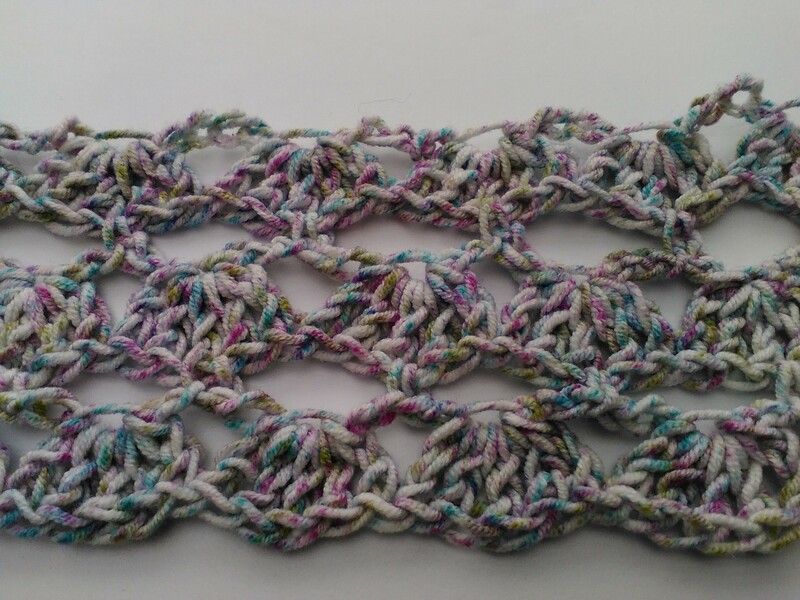 This is the loveliest yarn to crochet with and gives a sturdy but soft finished project. 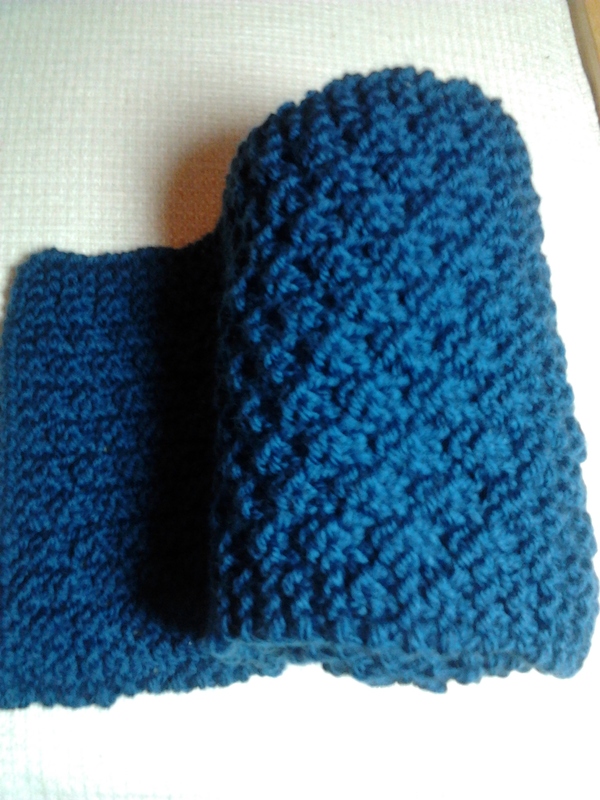 I will be making these in sizes from newborn to adult. Every time I have made these at craft fairs I have sold out, particularly for the under 5s! 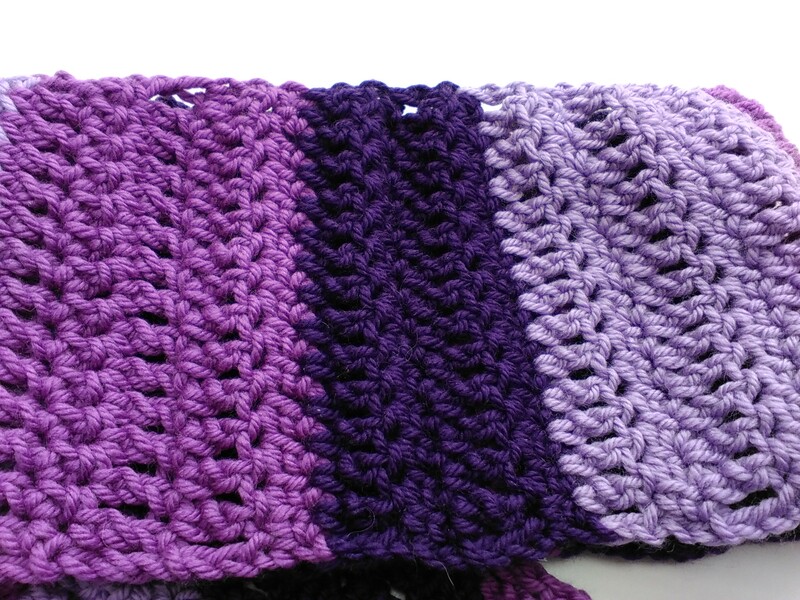 My colour choices for these are Old Rose, White and Lilac. 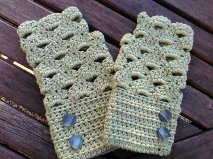 These fingerless gloves were made in Debbie Bliss Cotton DK – it holds its shape very well and the buttons are some of my most favourite ones – art deco style, found in a street market in Dieppe in Normandy. 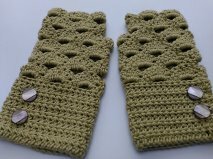 They look rather fabulous and tone in beautifully into the gloves. 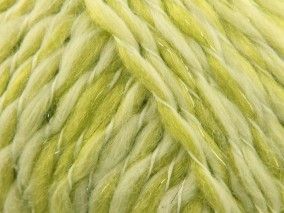 I have enough of this yarn left in a bright lemon yellow, I think that would make another fetching pair! 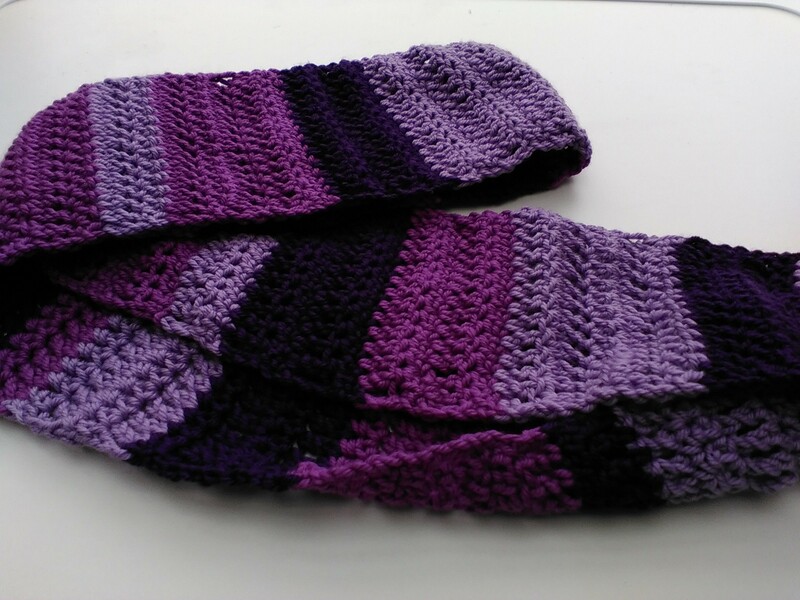 This pattern is not one of my own – it is a free pattern on Ravelry from Adriana Veleda. Finally I have been working on a granny square bag in Explorer Coast DK – this gorgeous yarn – 55% soft merino yarn mixed with a sturdy but soft 45% cotton. 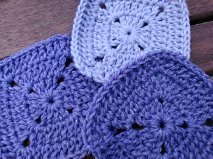 Although not a fan of granny squares, this one I find particularly attractive. 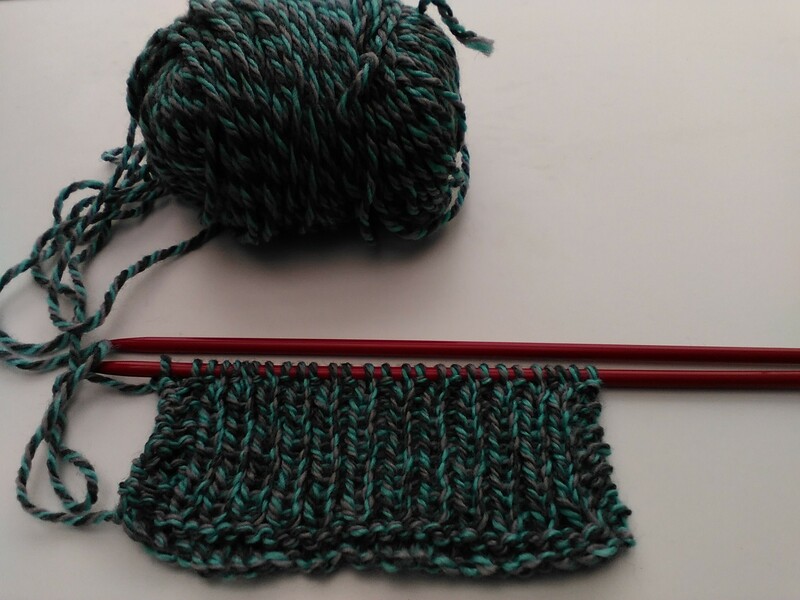 I have really enjoyed having several projects (all very different) on the go at one time – I would love to hear any feedback on how many WIPs other crafters have at one time! 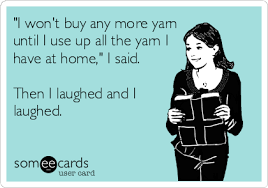 Might as well face it, I’m addicted to yarn! My stash is growing to ridiculous proportions at the moment, and that’s the way (uh-huh uh-huh) I like it. OK, so enough with the music puns! 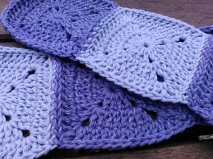 I’m sure like most crafters (especially those knitters and crocheters I have been lucky enough to meet) it is almost impossible to stick to one project at a time. I need a bit of variety in my crafting life! At the same time I was also working on my Shell Scarf, the first thing I have made for myself… I’m not 100% thrilled with the way it has turned out, despite following the pattern to the letter, it seems to have been a bit uneven on one edge, so I patched it up a bit. 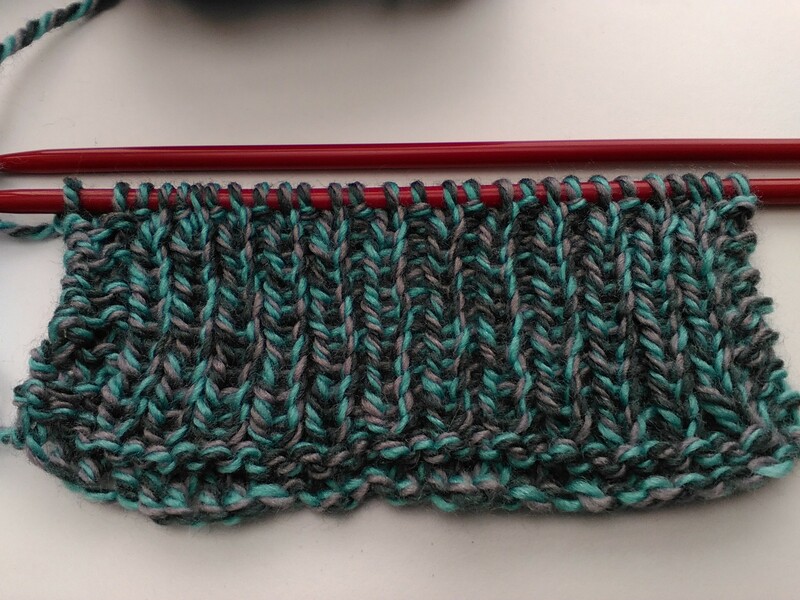 I have grown to really like the yarn though, Sirdar Americana has certainly grown on me. It was a bargain-bin buy but looks far more attractive when made up. as well as starting on my crocheted design for my Etsy shop. 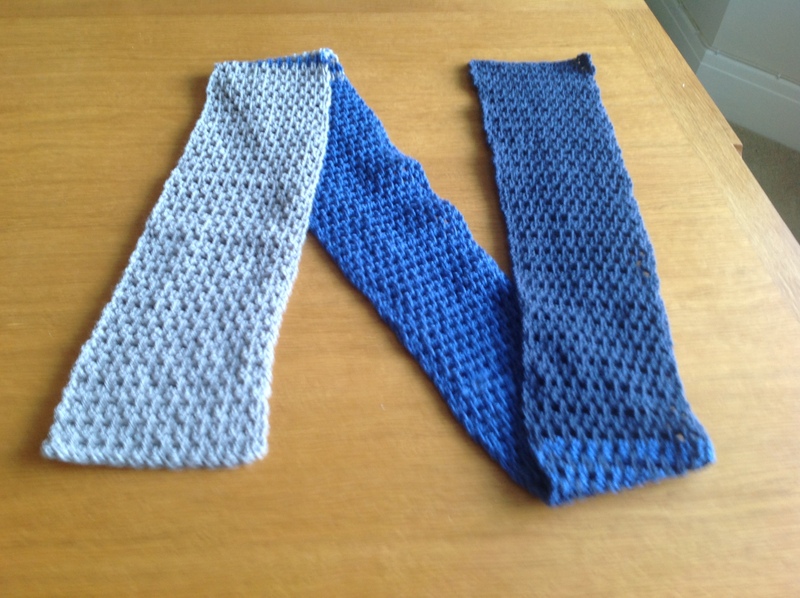 Up until now I’ve had to rely as a beginner on Ravelry patterns (all copyright-free of course! 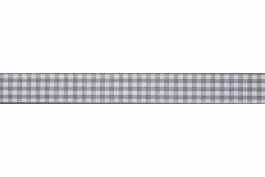 ), but I now feel able to begin designing my own patterns. 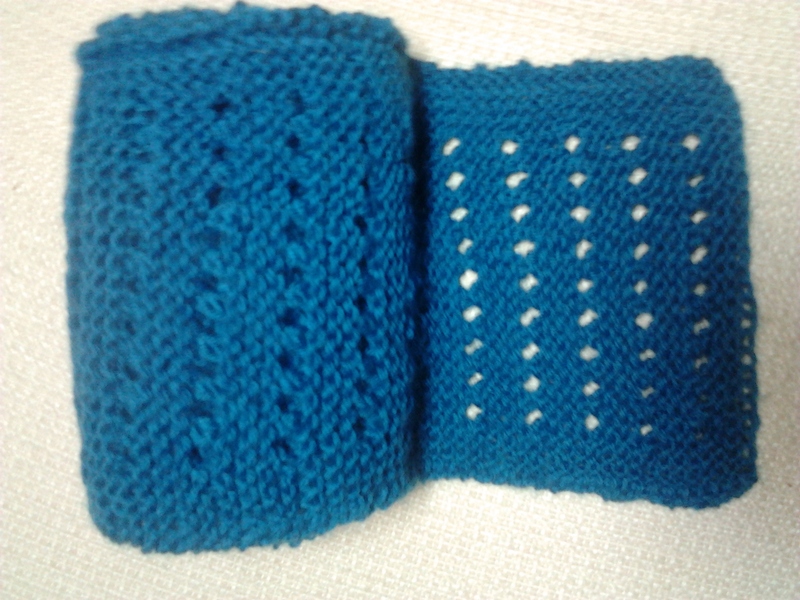 This V-Stitch pattern I’ve temporarily named V for Victory is my first attempt. Although I usually only work in natural fibres with the occasional mix of acrylic, this is 100% acrylic – James C. Brett Marble Chunky – but the colours were absolutely gorgeous, so I couldn’t resist! I’m not sure the colours come out so wonderfully in this damp overcast light, but they are the jewel colours which I so admire. Next weekend I’m off to the Knitting and Stitching Show at Olympia, London. Of course I will add more to my stash, and more projects to run concurrently and keep my interest, no doubt about that! I’d be interested to hear about your WIPs – how many can you have ‘on the go’ at any one time? I’ve had a lovely week off at home – poring through all of my favourite magazines – Craftseller, Simply Crochet and Homemaker – as well as trawling the internet for inspirations for Spring 2015. So I thought I’d put together another Top 10 (see my previous posts, you’ve gotta love a Top 10!) for the season to come. Spring is one of my favourite seasons, it holds so much promise for the year to come and the buds and new growth spied on a frosty walk brings a warm feeling that’s nothing to do with the temperature outside! One – Marsala is the Pantone colour for this year – a rich earthy warm red-brown – expect to see this throughout our homes and fashions all year. 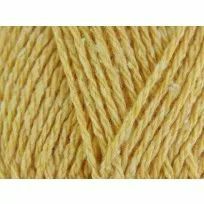 It’s a difficult colour to match without a direct comparison, but this lovely wool from Wool Warehouse comes fairly close. 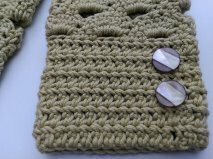 Three – Crocodile stitch (crochet) – there is a great tutorial for this on Lost & Found Lane – this would make up a fabulous dinosaur or amigurumi monster. On a more practical level I think it could make a most stylish cushion or scarf as found on Yarn Muse. 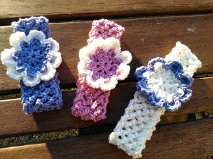 Four – Crochet jewellery – I think we can now safely move on from loom bands to something a bit more stylish! 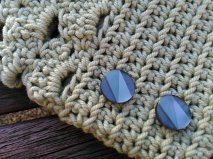 In the last few months I’ve seen quite a bit of crochet jewellery and have pinned some lovely ones to my Pinterest board. Five – Farmland animals – as well as the ubiquitous woodland animals which I’m pleased to say are still here. Getting a little bit political for a minute, some hunting morons – I mean enthusiasts – think the British public are turning back towards their favour in repealing the hunting foxes with dogs ban. This is clearly not the case when you see the popularity of the fox in every corner of British life over the last few years. 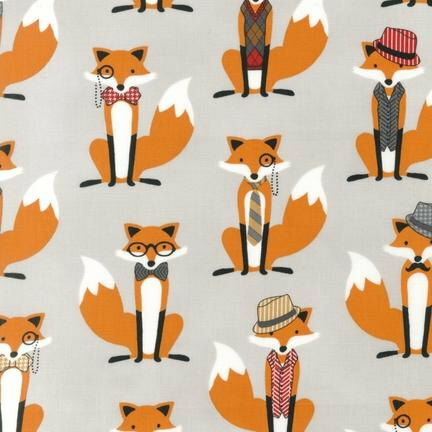 Just look at this Etsy page for inspiration, fox fans! Having had a lovely day with Mum in Southampton on Thursday, we enjoyed our trip to our Mecca, John Lewis. These were the farmland scenes that awaited us in the cushion department. 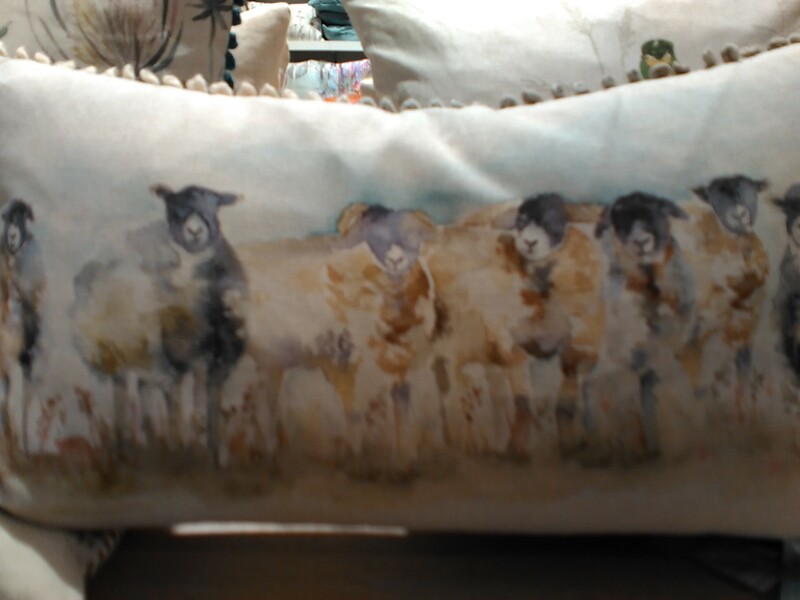 Being an avid woolie fan the sheep in particular do appeal to me. 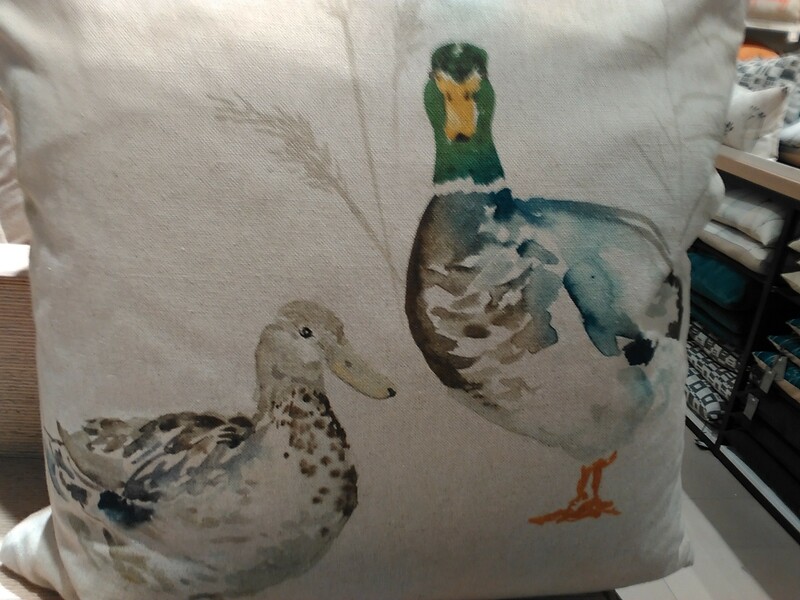 But I love ducks as well! 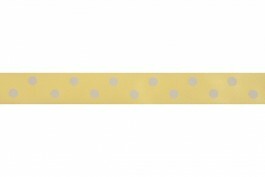 Six – Yellow – all shades of yellow (particularly those going towards green) are going to be big this year. I love yellow, it’s such a bright and sunny shade. Most of us can wear a shade of yellow which suits our skin tones. I personally live bright, acid yellows. 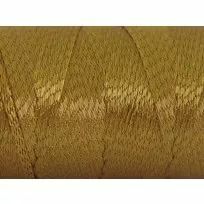 Deramores have a wonderful selection of yellow yarns, I have my eye on a few from Bergere de France. I’ve pinned these to my new Colour Pinterest board. 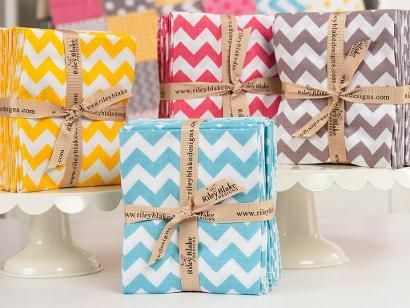 Eight – Blue and white – all the trends are included in these gorgeous fabrics from Craftsy – I spy (with my little eye) gingham, blue, grey, yellow, and possible some polka dots. 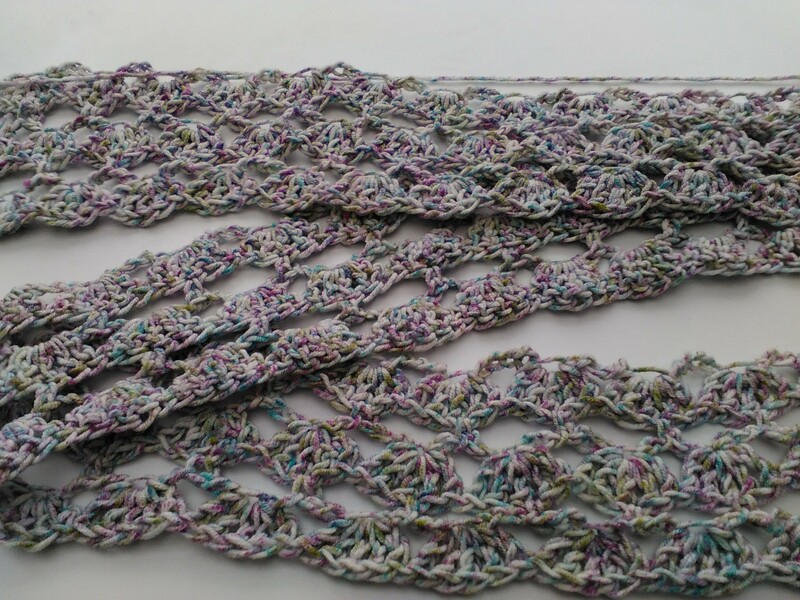 Ten – Macramé – initially I wasn’t sure about this one as I grew up in the 70s and it was everywhere (and naff!) but I have seen lots of stylish macramé influences around. Back to good old Pinterest for this inspirational board by Ana Maria. So I hope you have enjoyed my little tour around the Top Ten Crafting Trends for Spring 2015 – hopefully I can get some serious crafting done so I can replenish my stash with some of the delights I found in researching this blog. I’d love to hear your ideas about trends and whether they differ across the world – I am assuming most of these trends will be prevalent in the UK but what about Canada, Australia or the US? I have some very exciting news which I will share in the next few days about my online presence and what new plans are afoot – more to come soon. I’ve been happily getting on with some long overdue gifts, including my first project for myself! 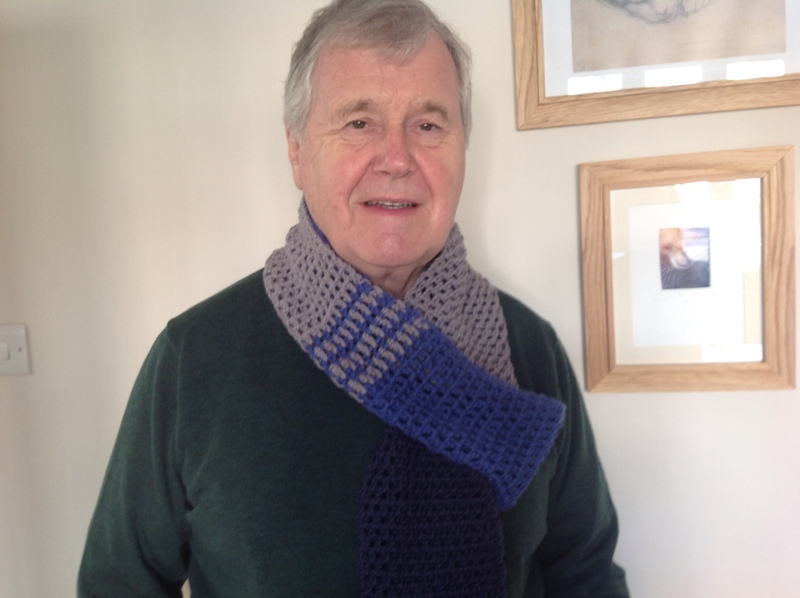 I recently posted about my Dad’s ‘Hombre for Ombre’ scarf, which he loves, but realised I had neglected to list the yarn used – it was Debbie Bliss Cashmerino Aran which I bought at my temple – the wonderful Peter Jones (a John Lewis shop at Sloane Square, London). 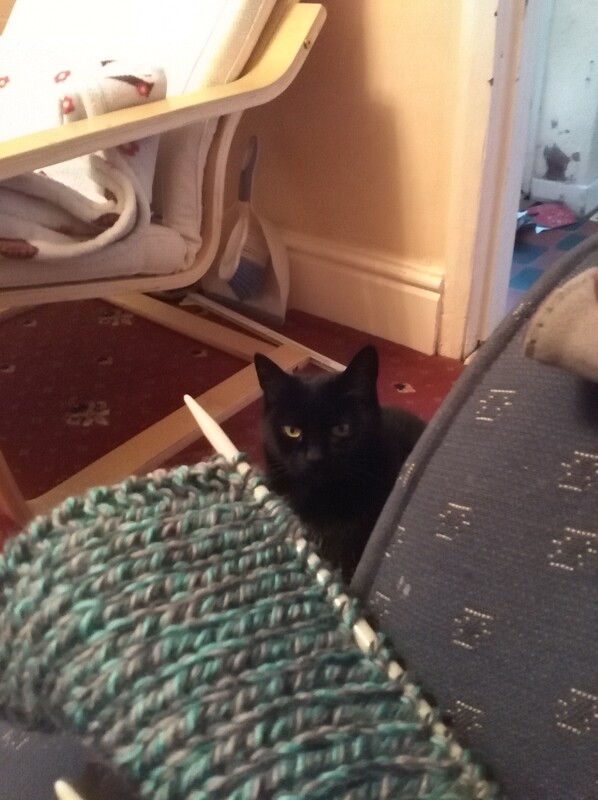 When I first started knitting I made Dad a simple ribbed scarf from Lanas Stop Top Merino which I bought in Wool, a lovely knitting shop in the beautiful Spa City of Bath, which I am lucky to live very near to. 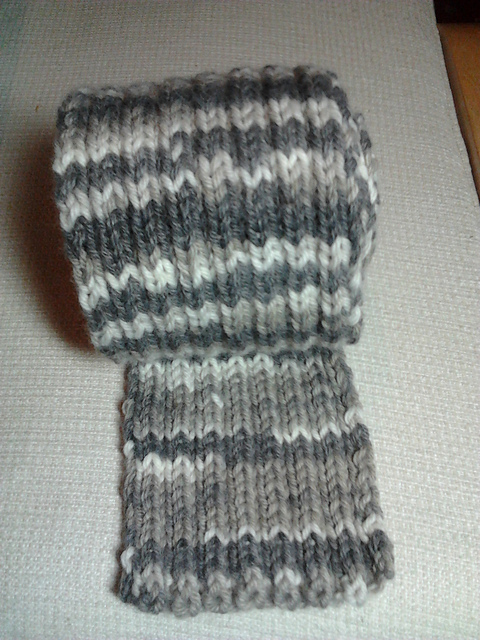 This was my first attempt at knitting and I was actually quite pleased with the outcome. As with all handmade things it has a few quirks (I don’t like to call them mistakes!) 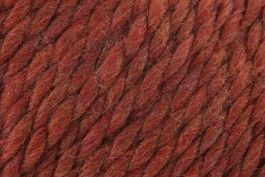 but that adds to its charm in my opinion… I must admit this was my favourite yarn so far to knit with, it was just gorgeous. 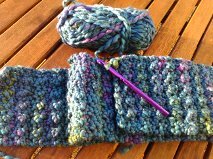 I do have a hankering to do more knitting, so this will be my next plan – I have two classes coming up mid February at my local haberdashery shop – Intermediate Crochet Cables and Intermediate Knitting – so hopefully will learn lots of great new techniques from those. Finally I have to post another work in progress – I have never made anything for myself so finally took the plunge. I bought some Sirdar Americana DK in the reduced bin at my local haberdashery (again – I love a bargain!) 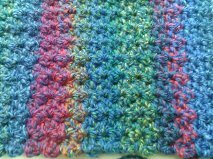 and it wasn’t until I started making myself a wrap that I realised this yarn crochets up to something much more beautiful than expected. This year seems to be speeding by already, with little achieved. But I have had plenty to distract me! However I did find time to make Dad a lovely ombre scarf from a pattern by Lisa Gutierrez on Ravelry http://www.ravelry.com/patterns/library/hombre-scarf which I renamed Ombre for Hombre. He seems quite happy with it! 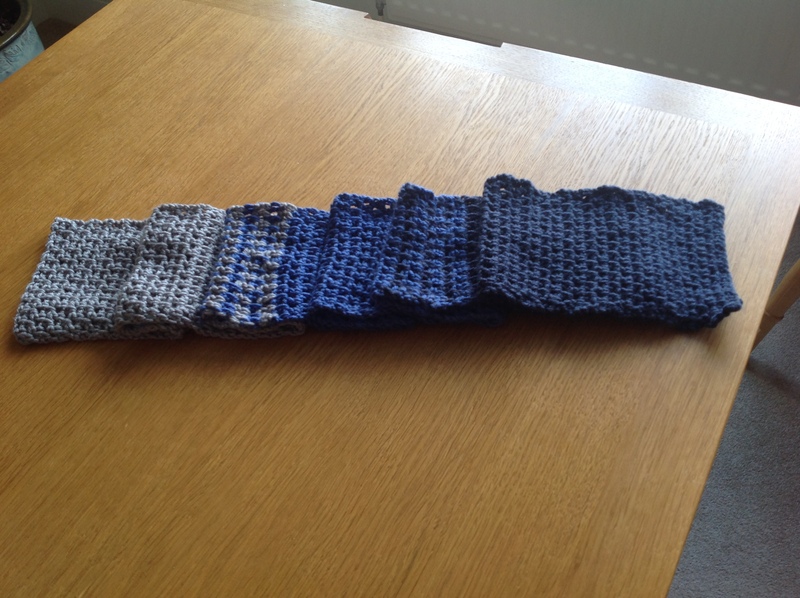 I’ve just finished an Infinity Scarf for Mum – it will be renamed To Infinity and Beyarned, piccie to follow shortly! As my laptop is playing up I am having to write this on my Kindle, and due to the cold I’ve taken to my bed. 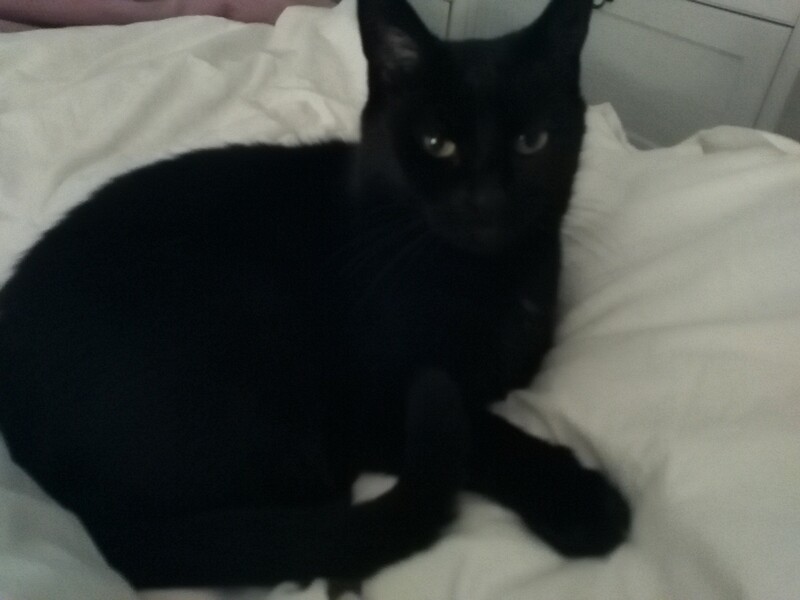 This has of course resulted in another intrusion… More to come this weekend!